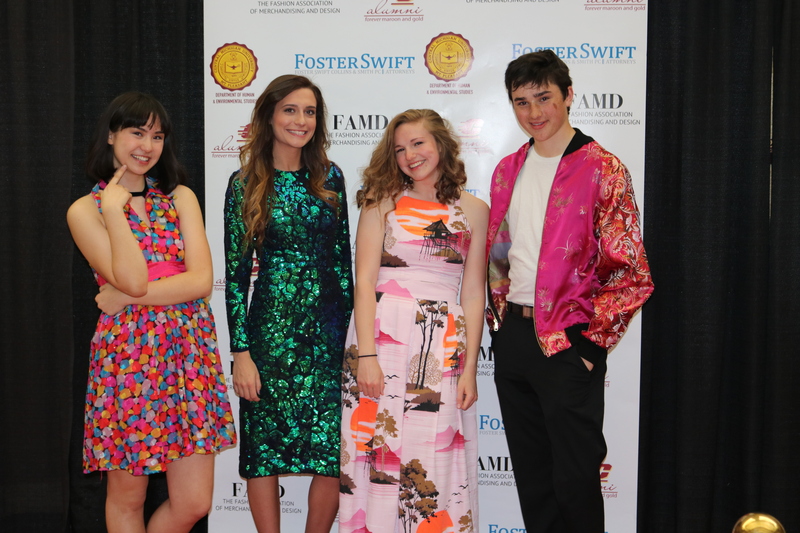 Project Runway Junior Alum Showcases Designs at Threads | Grand Central Magazine | Your Campus. Your Story. Isabella Kostrzewa, a Mount Pleasant resident and a finalist on Lifetime Network’s “Project Runway Junior” attended Threads Fashion Show on April 22. Project Runway host Tim Gunn was also in attendance, and spoke during an intermission at the show. Kostrzewa showcased a few of her designs with three of her best friends and live models at the event. Grand Central sat down with the fashion designer to talk about the very anticipated fashion show, as well as her experience on the hit TV show, Project Runway Junior. Grand Central: How was your experience on the TV show, “Project Runway Junior”? Isabella Kostrzewa: It was really good! I learned so much and gained a lot of critical thinking skills. Tt was a great experience overall and helped me become a better fashion designer. Kostrzewa says she chose this fabric in New York because of the resemblance to a dragon egg, and the bright color. GC: How did your family and friends take your TV appearance and success? IK: My family and friends are very supportive. They all keep me so level headed that I don’t really feel any different as a person from being on the show. I appreciate them. Isabella’s second piece is inspired by her Taiwanese grand mother who gave her the fabric. 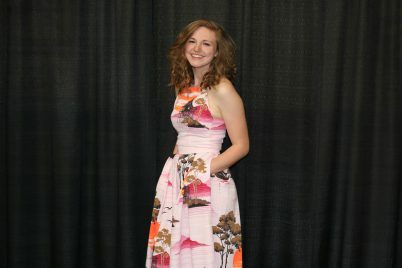 From there she designed a beautiful homecoming dress. GC: What are you working on in fashion right now? IK: I’m designing everything for fun right now in fashion and doing little projects – I’m going to be applying for colleges soon. GC: Are there any trends for spring we should be looking for? IK: This spring, the color yellow is popular and crocks are back in style – right now I’m really into dog prints. Fashion designers are the ones who create trends – what I’m into at the moment is going to be what is trendy to me. 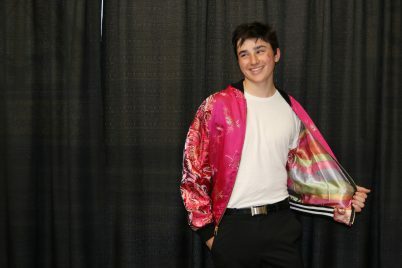 Isabella’s third piece was a Taiwanese inspired jacket. GC: What advice would you give to other designers? IK: The advice that I would give is to always be true to who you are as a person and never change for what others want because that’s where true art is being, when your being yourself. GC: What do you think of the [Threads] designers overall collections? IK: I thought the collections were really interesting and exciting, I always love seeing the students work for CMU fashion show. 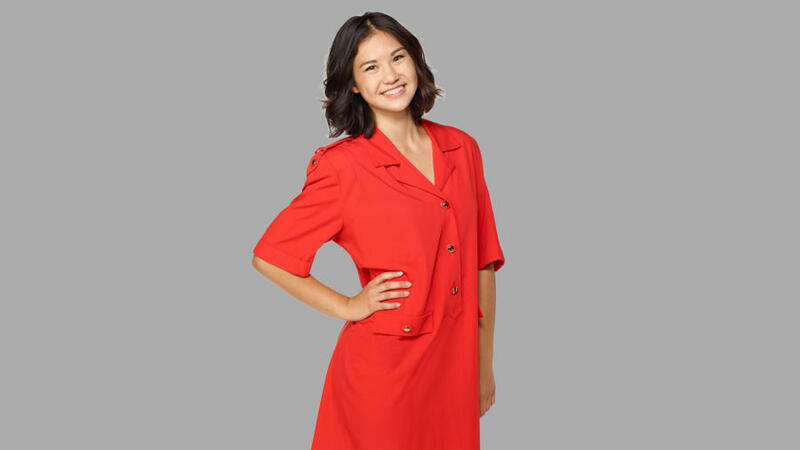 Separator image Posted in Style, Style & Beauty, Women's Style and tagged with Chanda Crenshaw, Project Runway, Project Runway Junior, Style & Beauty, Threads.